Obviously a seamlessly repeating (a “tiling”) texture is the most efficient way to go when you use textures. This allows you to use a small image to fill a large space. And if you use a good texture, you won’t even see any seams or repeating patterns. As I described in the book, there are many places where you can get good quality tiling textures. Find the texture you are looking for (a brick wall, grass etc.). Be careful with the sun’s position. If there is sunlight on your texture object, then there will be shadows that will remain and might look unrealistic in the rendering. It is usually better to do this on an overcast day (and rely on a bump map for depth effects). Take a camera with a high-enough resolution. You can often do this even with a cell phone camera, but I like having a camera with a zoom lens (more on that in a second). Set the camera so that the entire texture will be in focus. This is typically not a problem with cell phones since the cameras are tiny, but with an SLR, make sure your aperture is not completely open (I like f/8 as a minimum). Position yourself perpendicular to the object (e.g. a wall) and take as much of a “flat-shot” image as you can. Try to avoid any distortion that would come from an off-center position. If you can, set your zoom level for the image not to wide-angle. Cameras typically deform images at that setting (parallel lines won’t appear parallel). Unfortunately, telephoto lenses also deform images. Therefore, try to find the zoom setting in-between that minimally deforms your image. You can always straighten out images in Photoshop, but it is usually better to get it right in the camera. 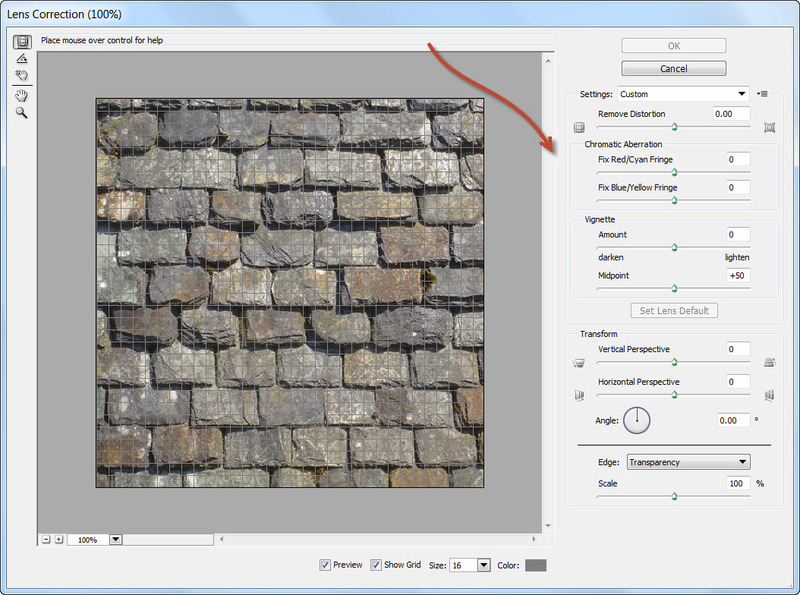 Load the image into Photoshop and do any lens-adjustments using the Lens Correction filter (e.g. remove distortion, a vignette, perspective corrections, color problems,…). I took the liberty to package the automatic steps into a Photoshop action that you can download from the following link. All you need to do after running this action is to use the Clone tool to remove any seams. Download the action and drag the file into Photoshop. It will then be available in the Actions panel. Just highlight the action (not the folder) and click on the play symbol after you load the image file. You can still select the image size and high-pass filter levels this way. Just remember that the offsets always have to equal half the image dimensions. 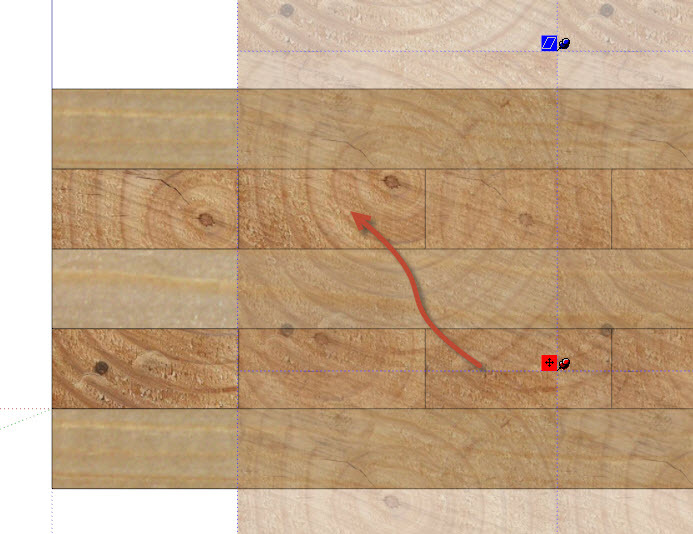 This way you can apply textures to each of the faces individually and position them (the way I describe in the book). 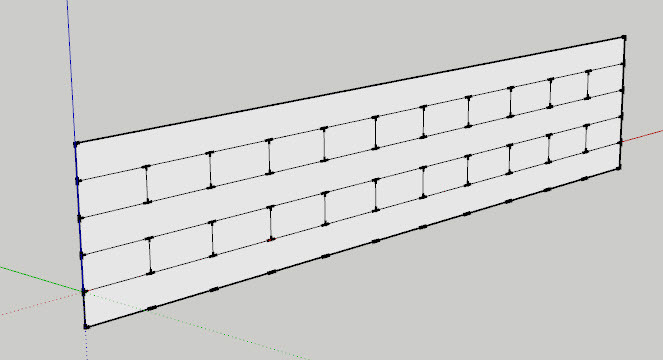 In this case, I used one end-grain texture and offset it for each panel. The side-grain textures are separate and were also offset. 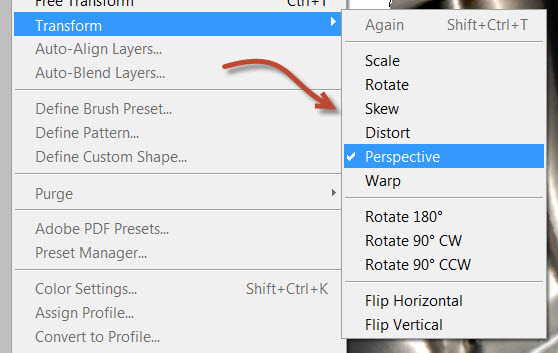 Align your view with the faces using the right-click “Align View” tool. Then do a Zoom Extents. 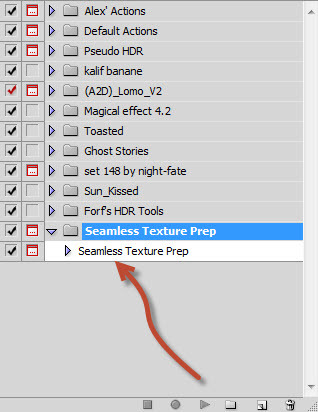 Set the OpenGL preferences to allow “Maximum Texture Size” (in the Preferences window). Turn edge lines and the axes off in the Styles window. Here, I started with the “Shaded with textures” style and then edited its settings. Once the texture is exported and cropped, it is ready to be used (on a single face this time). If you are also creating normal maps for your textures, then it might be useful to combine this method with Cris Fullmer’s Normal Map Maker plugin. It allows you to add deformations to these textures as well.